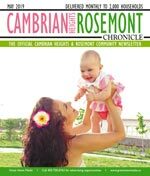 Rosemont’s community association offers a variety of programs to residents. The computer access program, which works to ensure all Calgarians have access to the computers, was a hit among seniors and teens alike. The community centre now contains a six computer lab to ensure residents have internet access. Other community centre activities and user groups include Tai Chi, Brownies, a Moms and Tots program, a Girls Art Day Camp, and the Rocky Mountain Ramblers. The community also hosts special events such as movie nights, pub nights and seasonal parties. This year, they will also be hosting their first community garage sale. Rosemont also works to improve the community, and are currently working on two special projects: improving the condition of the Confederation Park Duck Pond and creating a memorial garden as a tribute to former alderman Eric Masgrave, a key figure in the park’s creation. In the City of Calgary's 2012 municipal census, Rosemont had a population of 1,241 living in 563 dwellings, a 2.7% increase from its 2011 population of 1,208. With a land area of 0.5 km2 (0.19 sq mi), it had a population density of 2,480/km2 (6,400/sq mi) in 2012. Residents in this community had a median household income of $53,027 in 2000, and there were 11.3% low income residents living in the neighborhood. As of 2000, 13.4% of the residents were immigrants. A proportion of 18.6% of the buildings were condominiums or apartments, and 29.9% of the housing was used for renting. For more detailed info visit the City of Calgary community profiles.